While we won’t be seeing Destiny available until 2014, it appears that a beta for the game could be something we see in the future. Bungie and Activision have released the official Destiny box art and have announced that a trailer is coming tomorrow, and it appears we may know what that trailer will announce. A Destiny beta seems extremely likely, after MP1st came across what a clever Reddit user discovered. Hidden in the source code for the official Destiny website was text revealing that a beta was in the plans for the game. Beta Access for people who Pre-Order from select sellers – line 1778 to 1780 shows this little snippet of code: ” Pre-order Destiny at select retailers and receive admission to the Destiny Beta. Play it first. Become Legend. While even Amazon hasn’t listed a beta on their pre-order page, we recommend to keep an eye on that page for tomorrow. Retailers haven’t been named, and this is purely speculation at this point, but having that information in the source code lends credibility to an announcement coming soon. 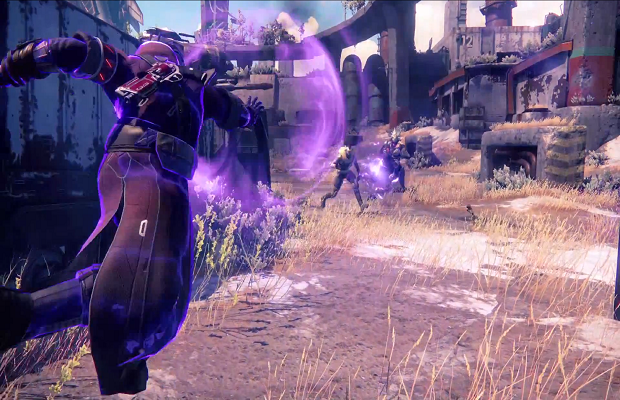 Would you participate in a beta if it required that you pre-order Destiny? Be sure to let us know what you think by leaving us a comment below, or continue the discussion on Facebook and Twitter.